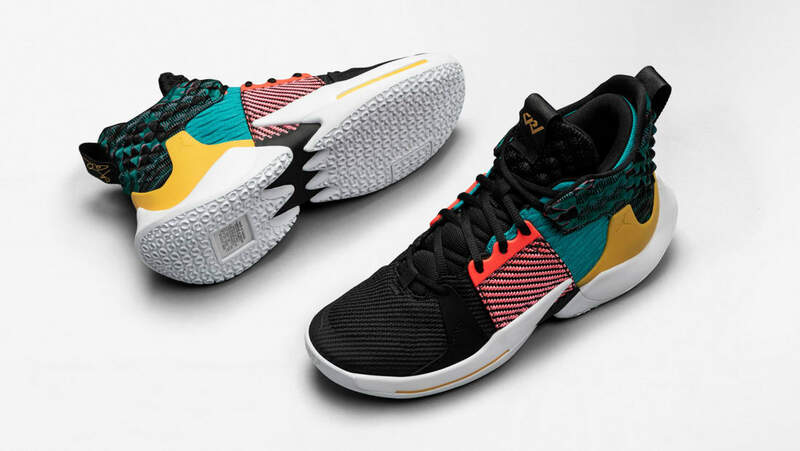 Jordan Jordan Why Not Zer0.2 "BHM"
Jordan Why Not Zer0.2 "BHM"
Part of this year's BHM collection, the Jordan Why Not Zer0.2 features a black knitted upper with a red lacing cage, teal overlay, and a yellow heel counter. Traditional African patterns are seen on the ankle collar alongside the "BHM" logo on the tongue. Release date is Feb. 1, 2019 at a retail price of $125. News Jordan Why Not Zer0.2 "BHM"